PROJECTS | Arc Lighting Systems. Designed by Sylvan R. Shemitz Associates this project used our MBMF fixtures using HPS and MH sources for a fantastic night time view. This gigantic kinetic sculpture created by Janet Echelman is notably named “Her Secret is Patience”. 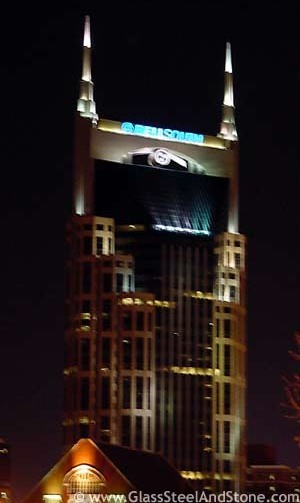 The lighting design was created by Paul Deeb of Vox Arts. 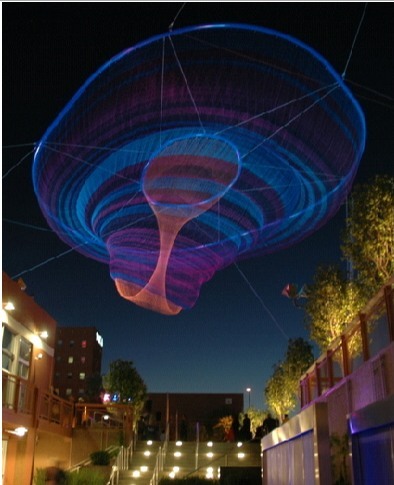 Using many colors and varying light levels this sculpture enhances downtown Phoenix, Arizona differently each night of the year. 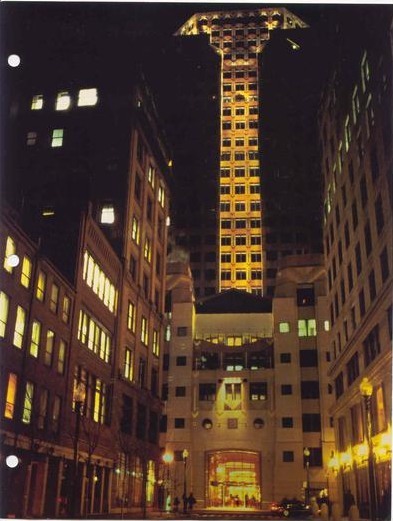 Designed by Claude Engle Associates this significant building in Boston’s financial district is a prime example of applying light in a responsible manner. Using our MBMF fixtures with 150 watt lamps our precise optics allow the building to be framed with light. Designed by Bob Benson of Knudson-Benson Associates this is an excellent example of how our long throw optics allow the light to graze the buidling making a diffiicult project simple and yet very effective. 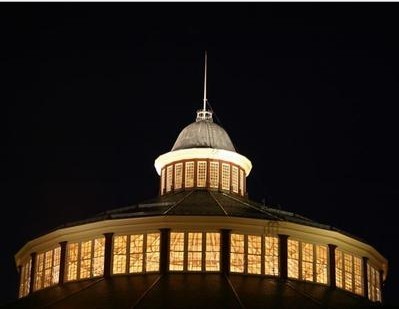 Using our BMF fixtures with 250 watt lamps creates a search like beam that makes the glass support mullions come alive. 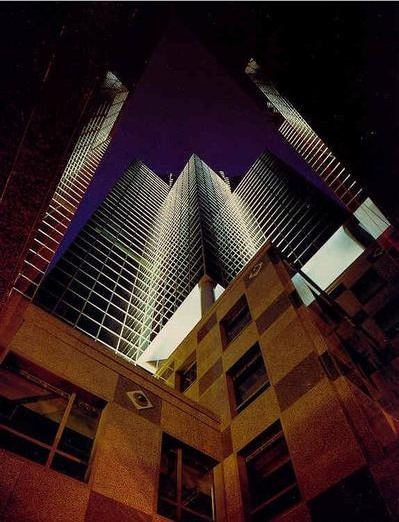 Commonly referred to as “The Batman Building” our BMF and VBMF fixtures graze the facade creating a sense of drama for this modernistic building. 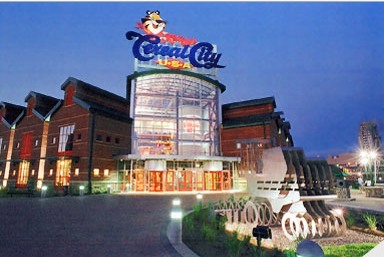 Designed by Candace M. Kling of C.M. Kling & Associates. Designed by Steven Rosen of Available Light a BMF is used to highlight Tony’s head for enhanced visibility. 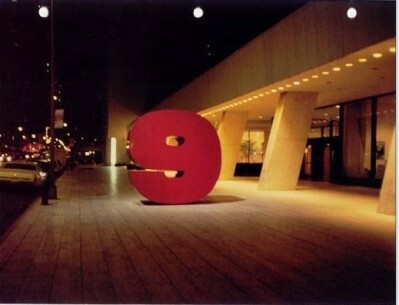 Our precise beam control and exceptional output make signs appear more vivid. Additionally, our FPL facade fixture was used to accent the alcoves in the building to enhance the architecture. 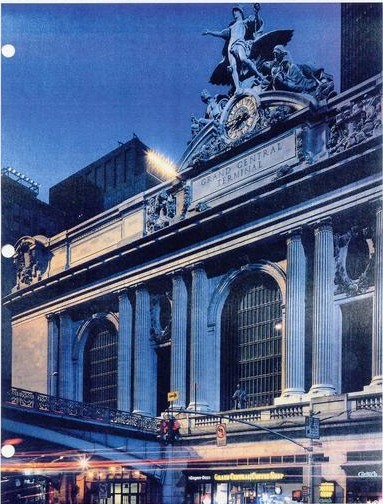 Designed by Paul Marantz of Fisher Marantz Stone Architectural Lighting this prominent New York City landmark is illuminated by one BMF to highlight the sign. The precise beam with the fixture mounted 150 feet away is outstanding. The Baltimore & Ohio Railroad Museum in Baltimore, Maryland has now become a gleaming beacon for this fabulous city. Designed by Bruce Dunlop of Crampton Dunlop Lighting Design our MBMF product defines cutoff and punch! Bruce stated at Lightfair that what he liked about ARC fixtures is having predictable results. 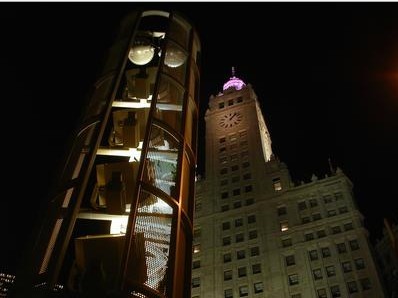 Specified by HOK in ST. Louis, MO our MBMF Extreme with a glass mirrored reflector allows this important Chicago landmark to sparkle! 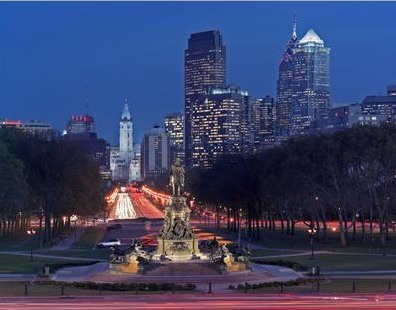 Looking down Ben Franklin Parkway you see City Hall now prominantly illuminated. 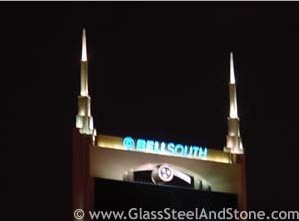 Over forty BMF fixtures are used on surrounding buildings to punch out the significant features on the building. The designers at the Lighting Practice needed punch and control and ARC delivered. 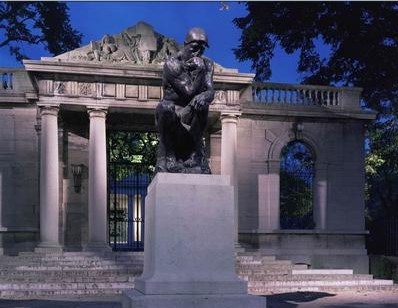 Rodin’s immortal statue “The Thinker” is now brought to life at night by our MBMF 150 watt spotlights. The Lighting Practice needed absolute control with punch to light this essentially black bronze statue. 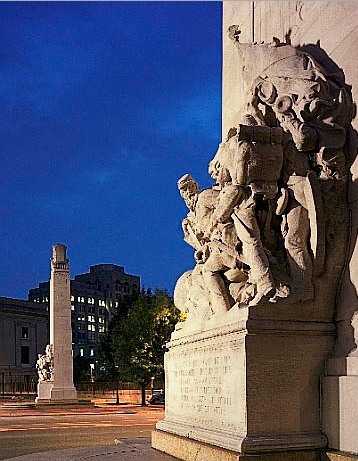 Two monolithic forms stradle Benfranklin Parkway in Philadelpia. The Lighting Practice used our HPW weatherproof framing projectors to perfectly frame these monuments while keeping any stray light or glare from passing cars. This photo appeared on the December 2004 cover of LD+A. 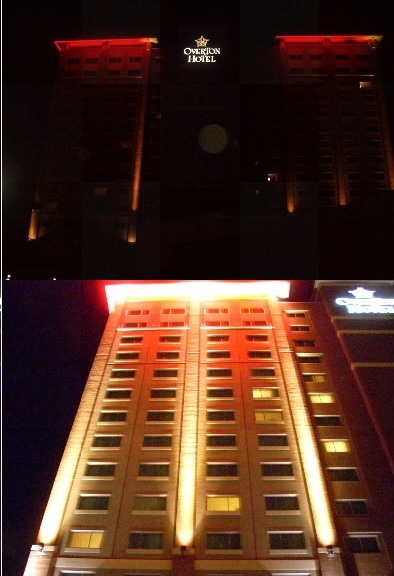 Designed by Bruce Yarnell of Yarnell Associates, the Overton Hotel stands alone in the city of Lubbock, Texas. The before picture (top) shows the importance of aiming and adjusting precise beam luminaires. The MBMF-150-GR luminiares throw a vertical beam 12 stories up the red brick columns without trespassing into guest rooms nor polluting the night sky. Our Patented Cosmic series is extrmely versatile and provides many options as to use. 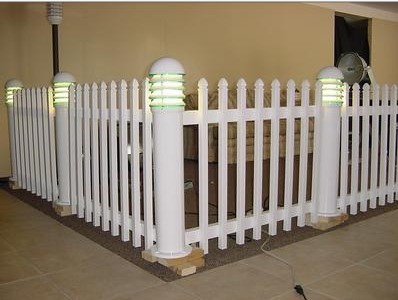 This photo depicts the bollards being used with fencing. The fence material can be glass panels, aircraft cable, rope, or custom railing to create a spectacular patio, dock, or pool setting. Let your imagination go and create that relaxing and inspiring setting for your project. 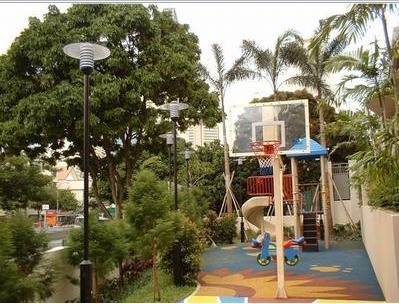 This is an example of how our Post Top lights can enhance the landscape.